Or, hey, look what I found in a box in the attic! 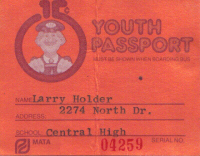 Who can forget riding the city bus routes to and from Central. 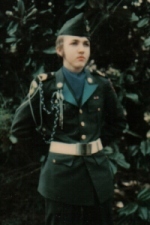 Remember those Wednesdays when we wore ROTC uniforms to school? 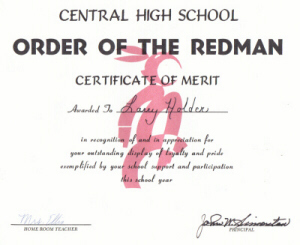 I was in the Color Guard, which basically got me out of a lot of routine marching. 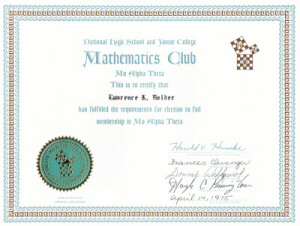 Mr. Pennington was the faculty advisor for the Mu Alpha Theta math club. 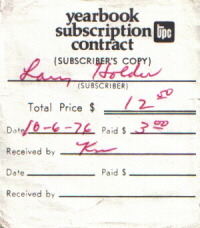 I worked on the yearbook prior to switching over to the Warrior newspaper. The yearbook faculty advisor was Mrs. Nesbitt. 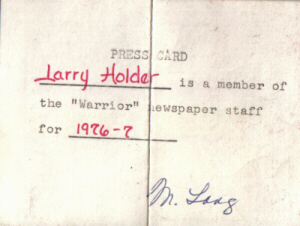 I was a card-carrying member of the press (ok, the Warrior Newspaper). 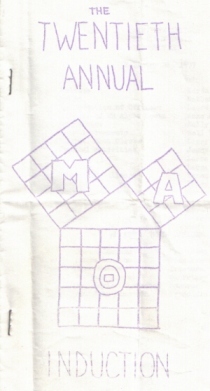 I edited and wrote a humor column (following the legendary footsteps of Bruce Ingram). Would you believe we prepared each issue of the newspaper with a simple typewriter? This was before computers took over the world. In 1977, few people had ever seen a computer of any kind. 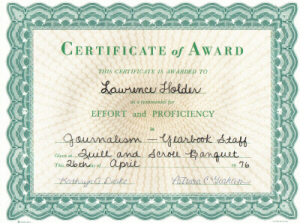 Card signed by Mrs. Long, the newspaper faculty advisor. 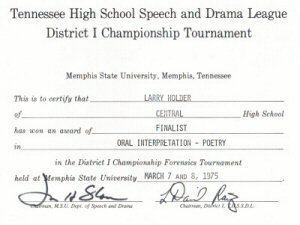 Speaking of Bruce Ingram, he wrote this unforgettable poem. Mr. Pennington included it in his collection of "Dumb Jokes". 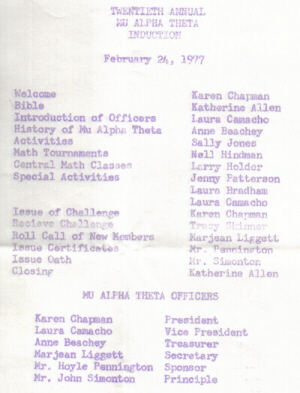 A few Annual Staff members: Rise Ramsey, Suellyn Spiegleman, and Georgia Kolopanis. The "Warrior Kickoff" T-shirts were designed by Amy Bradham (annual staff) and Jenny Patterson (newspaper) to kick off the new publication year. 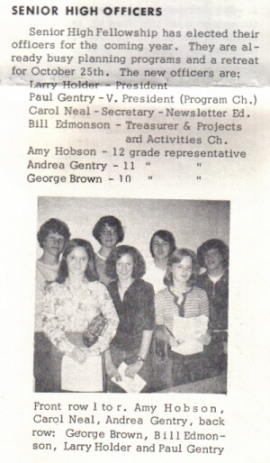 Anne Beachey (class of 1977) and others. 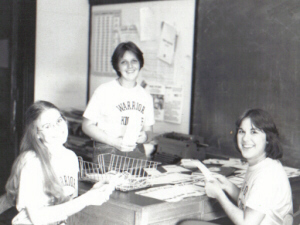 From a collection of yearbook and newspaper photos in the Warrior newspaper room with equally oddball captions affixed (ok, I wrote the oddball captions). 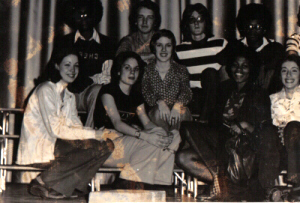 Jerri Roberson, Laura Camacho, Fredah Fleming, Tasia Theoharatos, and others from the classes of 1976 and 1977. Band Officers. 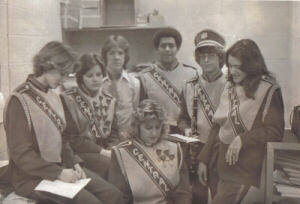 Beth Busby in center, and Suellyn Spiegleman looking over her right shoulder, are class of 1977. 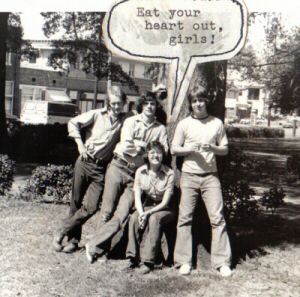 Youth officers at Evergreen Presbyterian Church, 1975. 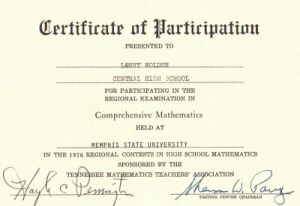 Larry, Paul, Andrea, and Carol are Central class of 1977. George was in a later graduating class. 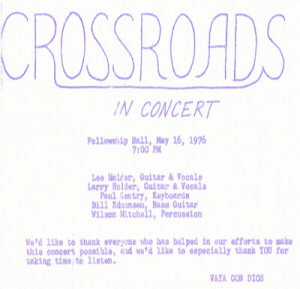 A concert by me, my brother Lee (Central class of 1973) and friends. 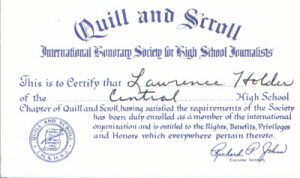 Wilson Mitchell is Paul's step-dad, once a professional drummer. 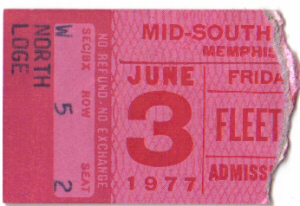 Ticket stub from Fleetwood Mac "Rumours" tour concert at the Mid-South Colesium (before the Fedex Forum and the Pyramid). 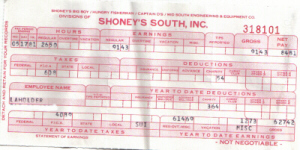 Who can forget those summer and after-school jobs. Mine was cooking at Shoney's. 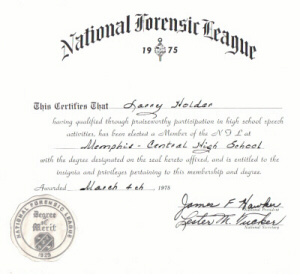 Continued the job in college at UTM. I cooked more Big Boy hamburgers than I care to remember. 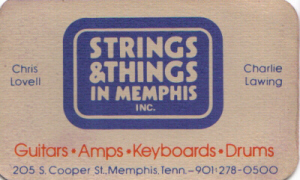 From the Cooper Street location of Strings and Things. 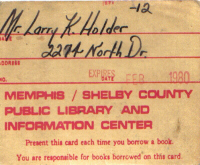 I think they're only located on Union Avenue now. For a few years I was bass player in the garage band "Mirage" which included lead singer George Brown (graduated later from Central) and lead guitarist Bill Edmondson (attended Memphis University School).